Hi there! 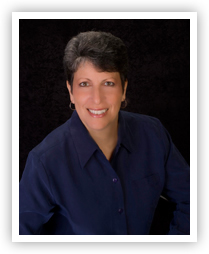 I’m Wendy Goldman, acupuncturist in San Diego, and founder of Goldman Wellness Center. • I formerly worked in biomedical research in a laboratory in one of the top medical schools in the country. • Later, I ran a gourmet pet food manufacturing company. The product was a natural gourmet pet treat. I learned that common food preservatives are toxic in large quantities and potentially carcinogenic (cause cancer). Or, safe options are Vitamins C or E, which are natural and effective. We were making a high-end natural product, so we chose to use Vitamin C, which was a safe, natural, cost-effective option. That small incident changed my life. It started my quest to learn about and use natural foods and natural products in my life. I went to Oriental Medical school and become an acupuncturist. That was a big leap for someone who’s afraid of needles! (It makes me really gentle with my patients.) After school, I started my practice in San Diego, and have a thriving practice with great patients who are like family. While in school, I fell in love with Qigong, which is part of Chinese Medicine. I found the effects of regular practice so beneficial for relaxation and decreasing the stress of medical school, that I determined to learn more. I found a teacher, and after years of study, was given the title of 14th Generation Master of Emei Qigong. I continue to practice and teach Qigong regularly. I also integrate medical Qigong into my acupuncture practice, as well as teach classes, speak at corporate engagements, and at medical conferences. • We practice mostly Japanese acupuncture, which is less painful (this is because we use smaller needles and different methods). • We have patients that have been coming to our practice for 15+ years; that’s the level of commitment we have. If you’re looking for an experienced San Diego acupuncturist who gets results, give me a call at (619) 917-6288 to see how I can help you feel better now!